For decisions based on data, and not just on gut feeling, one needs data. And not just plenty of it, but the right type – relevant data to help you make better decisions, save time and optimise costs. No surprise that for more than 50% of recruitment professionals in Europe (European Recruitment Trends 2019 survey by VONQ), collecting and measuring candidate engagement data will be a top priority in 2019. 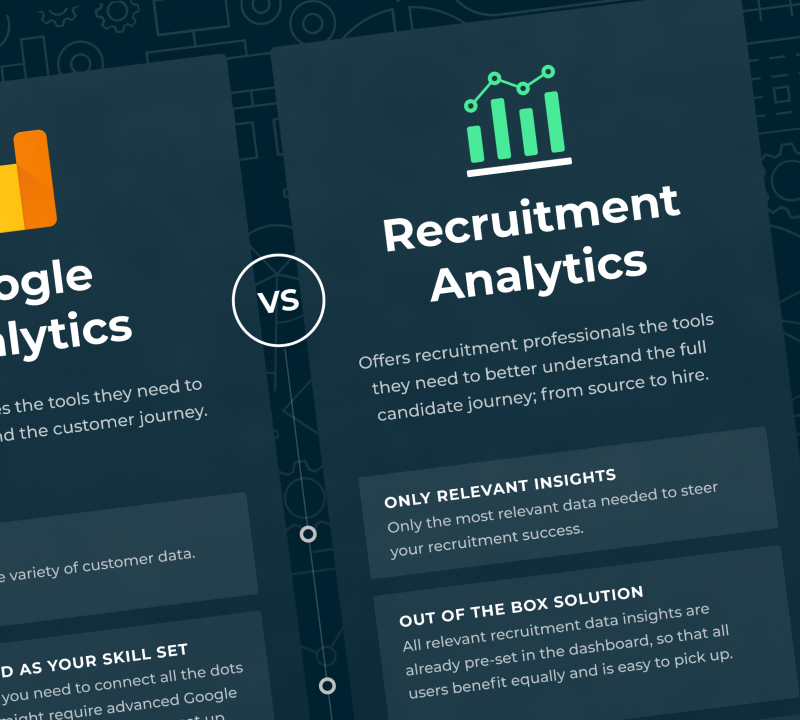 While some recruitment professionals nowadays swear by the usefulness of Google Analytics data in their recruiting process, there is still a majority who doesn’t have the capacity to take a deep dive into the possibilities that the tool offers and customise it for their specific recruitment needs. Now, what if there was a tool specifically developed for the data needs of a recruiter – one that depicts mainly candidate engagement metrics: from source to hire. And, more importantly – would that complement your current use of Google Analytics?